We now have frog spawn in both of our garden ponds. There was a thrush singing in the garden yesterday. This is only the second thrush we have seen since last summer. Two or three years ago there would have been several. Click here for a sound file. There are now 14 frogs in the garden ponds. There are nine visible in this photograph. Finally some signs of spring. 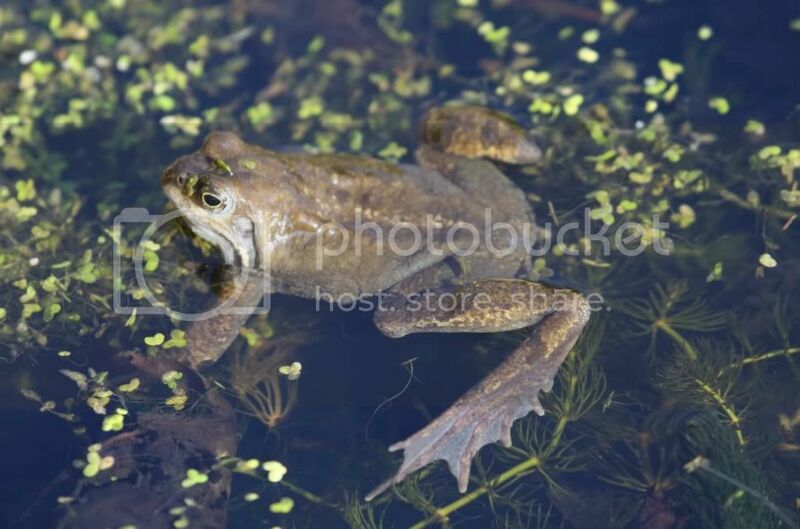 The weather has been much warmer during the day recently and frogs have started to appear again in the garden ponds and are croaking noisily. This is almost the same day as last year- (11th this year, 12th last year). Chris and I had a glorious walk in Hawthorn Dene today in Spring sunshine. 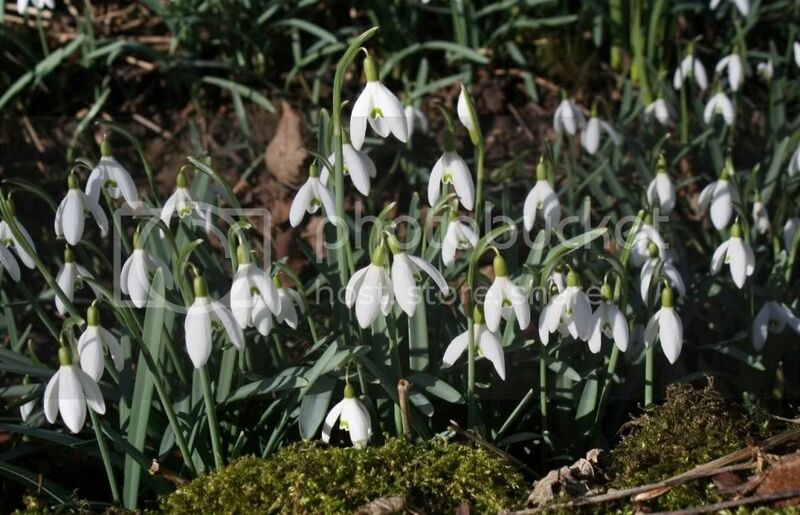 The snowdrops were lovely. We decided to pick up some litter as we went and managed to fill two bags in one circular walk. Mostly plastic bottles and lager cans. Such a beautiful place and yet a small minority of visitors make a mess. Perhaps they walk around with their eyes shut. The snowdrops have finally arrived in full bloom in Hawthorn Dene. They looked splendid this afternoon in the bright spring sunshine. They are a week later than last year and a month later than 2008.